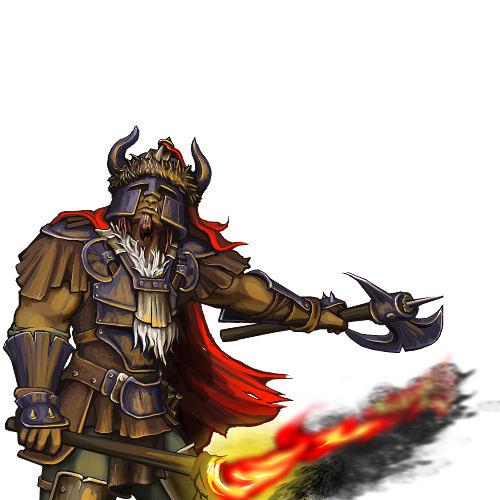 After some experience with wielding a torch as a weapon, the upper-level Fireline searched for another advantage to exploit. Orcs are not known for thinking about the long-term health consequences of their actions, so the upper-level Fireline have no reservations about filling their mouths with whatever light oils were available and spitting through their torch, into the face of their opponent. Hence the name, 'Firebreather'.